"One Agency To Serve Your Needs"
A.C. Coppolino Insurance Agency is committed to being one of the premier independent insurance agencies in the Mid-Michigan area. Our commitment is to provide customers with the best insurance value and service available, while maintaining the highest ethical standards and credibility with our clients, carriers, and the public. We’rean Independent Insurance Agency with a broad range of Personal, Commercial and Life products. We’ve aligned ourselves with some of the finest carriers to deliver these products to you. As a two-year recipient of the ‘Best of the Best’ Agency Award and an 8-time Total Quality Agency Award winner , we are confident that we will not disappoint you. Contact us today to see how we can save you money on your insurance needs! 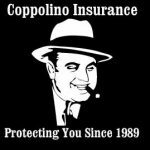 Copyright © 2009 COPPOLINO INSURANCE. All Rights Reserved.